Engine founder, Jim Delaney, professes a desire to "teach to teach to teach," and it comes across in the needs alignment his work facilitates for emerging leaders, nonprofit organizations, and leading companies. 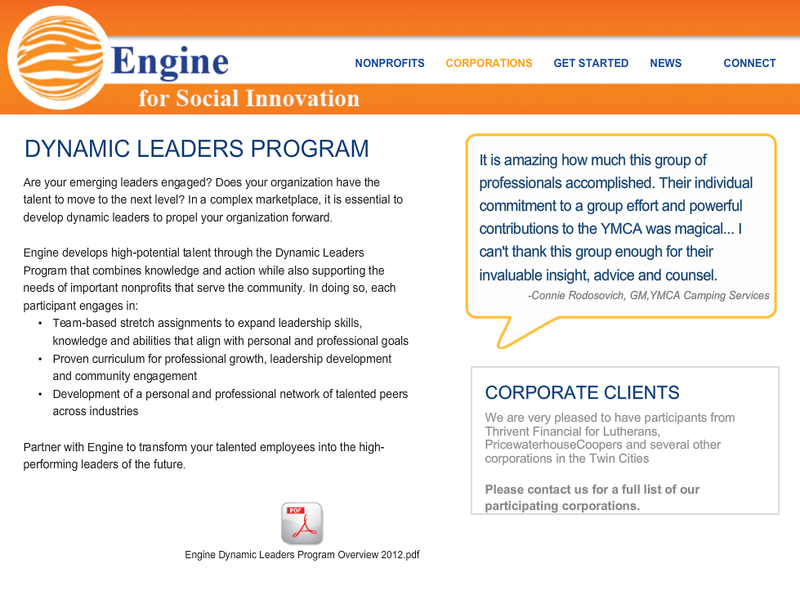 Consider joining a cohort of rising stars in the inaugural Engine Dynamic Leaders Program. Applications are due September 7, so read on for Jim's invitation below and nominate yourself or someone you know for a transformational opportunity to grow to grow to grow! Have you ever heard of a leadership program that combines professional development and community impact? We hadn't so we created it. 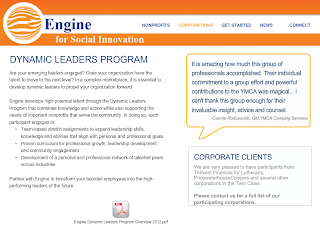 We are very happy to report that 100% of participants in our core program would recommend or strongly recommend the program to friends or colleagues and 92% feel more valued by their employer because their company invested in them through Engine. Click "What is Engine?" below or click here for the application. The program requires 20hrs per month and lasts four (4) months. We are accepting 24 people who have approximately 10-15 years of work experience into October cohort. Apply (or recommend someone). You'll never look at yourself, your job or the community the same way again.